Mac Repair Glasgow have been offering a personal, professional, cost effective, service to the local Macintosh market since 2009. We are Glasgows number one independent Mac repair support centre open 7 days a week, and with emergency engineers on call up to 6pm daily. We are recognised as offering the most competitive prices for support and repairs throughout Glasgow and surrounding counties. We now also offer iPod and iPhone Repair in Glasgow. Our business was grown out of a passion for everything Mac, and the technology that today makes them such a global phenomenon! All of our engineers are fully trained to high standard and can come to you at your home or business, or if you prefer you can drop it off at our local repair work shop. Our aim is to get you back up and running again the same day! Here are just some of the services We offer for your Apple Computer. And yes! FREE APPLE MAC ADVICE. We under stand how important your Mac is to you, and what a important part in plays in your day to day life. That’s why we make it our priority to get you back up and running again as fast as we can, with all the love your Mac deserves. Mac is not just a computer………. for many it’s a way of life! We provides support and repairs throughout our Mac Repairs Partners. We also have branches in Edinburgh and London. 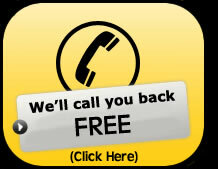 So if your suffering from an immediate support issue, or require a cost effective fast turn around repair. Our Apple certified engineers can deal with all out of warranty Apple Macintosh computer repairs including, Mac Pro, iMac, Xserve, Powermac G4, Power Mac G5, Macbook Pro, iMac, Macbook, Macbook Air, Mac Mini, iBook, Powerbook G4, iPod, iPhone, 2G, 3G, 3Gs, 4, 4G, and 5. We also provide our mac repair services to: Paisley, Cumbernauld, East Kilbride, Kilmarnock, Dumbarton, Coatbridge, Hamilton, Renfrew, Airdrie, Motherwell, as well as other areas in Scotland. Contact us at iPhone, iPod and Mac Repair Glasgow today.